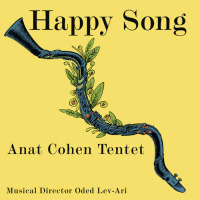 This week, it's time to check out some videos featuring clarinetist and saxophonist Anat Cohen, who's coming to St. Louis to perform with her quartet starting Wednesday, February 27 through Sunday, March 3 at Jazz St. Louis. 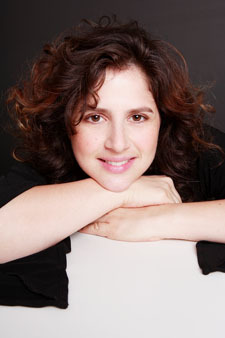 Born in Israeli and educated at Berklee, Cohen moved to New York after college and began her career by touring with the all-woman big band the Diva Orchestra and working with Brazilian groups. Over the past decade, she has become perhaps the most prominent clarinetist in jazz, building a reputation in part on her ability to play convincingly in a variety of styles, from vintage swing to modern jazz to Brazilian music. 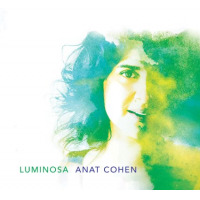 Cohen released her most recent recording, a live album of duos with pianist Fred Hersch, in 2018, after putting out three albums- two of Brazilian music, and one with her Tentet- in 2017. Today's collection of clips shows off at least some of Cohen's versatility in dealing with a variety of settings and styles, starting with the first video up above, in which Cohen plays the swing-era staple China Boy" in 2018 with the Jazz at Lincoln Center Orchestra. 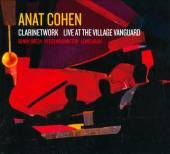 After the jump, you can see a full set by Cohen fronting a quartet with Jason Lindner (piano) Joe Martin (bass) and Daniel Freedman (drums), recorded in 2013 at the Istanbul Jazz Festival. Next, it's Cohen and pianist Fred Hersch teasing and tumbling their way through a discursive version of Fats Waller's Jitterbug Waltz," recorded in 2016 in the studios of public radio station KNKX in Tacoma, WA. After that, you can check out a couple of performances of Brazilian music by Cohen. The first is a duet with guitarist Marcello Gonçalves (with whom she recorded the 2017 album Outra Coisa), playing Moacir Santos' Coisa No. 5/ Nanã," recorded in 2017 at the Buffet Crampon showroom in Paris. That's followed by Espinha de Bacalhau," recorded in October 2014 at Jazz at Lincoln Center with Choro Aventuroso, which also includes accordionist Vitor Gonçalves, guitarist Cesar Garabini, and pandeiro player Sergio Krakowski. 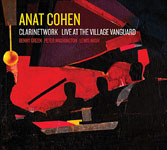 The final video shows Cohen with her brothers, saxophonist Yuval Cohen and trumpeter Avishai Cohen, performing as the 3 Cohens Sextet and playing Ellington's The Mooch" in 2018 at the Jazz à La Villette festival in Paris.